Mulligans of Deansgate offers accommodation in Manchester. Guests can enjoy the on-site bar. The rooms are equipped with a flat-screen TV. Mulligans .. 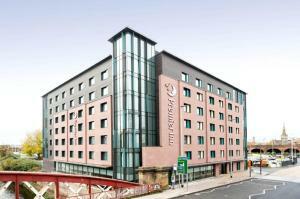 Featuring free WiFi, Manchester Serviced Accommodation is situated in Manchester, 300 metres from Manchester Central. Bridgewater Hall is 400 metres f.. Located in Manchester, Premier Inn Manchester City (Spinningfields) offers en-suite accommodation and features a 24-hour front desk, as well as a bar .. 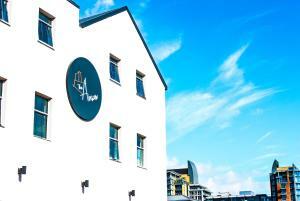 Situated in Manchester, Deansgate Quay offers self-catering accommodation with free WiFi. Guests benefit from terrace and a sun terrace. A dishwasher.. Featuring free WiFi, Stay Deansgate Apartments is set in Manchester, 400 metres from Manchester Central. Bridgewater Hall is 500 metres away. Private .. 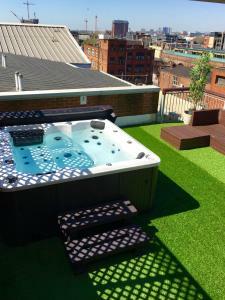 Located in Manchester, Deansgate Rooftop Hot Tub offers self-catering accommodation with free WiFi. 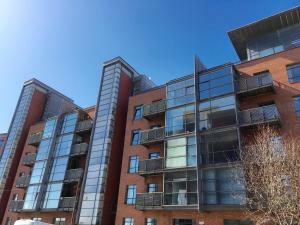 The unit is 300 metres from Manchester Central. Fr..
Offering a roof garden, King Street Townhouse is situated in Manchester, 5 minutes' walk from Manchester Town Hall. Guests can enjoy a meal at the res.. 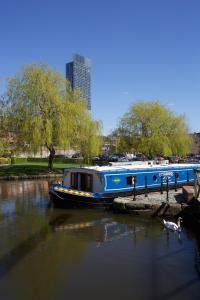 The Ainscow is set next to Salford Central Railway Station and just 10 minutes’ walk from Manchester’s lively centre and the trendy Northern Quart.. 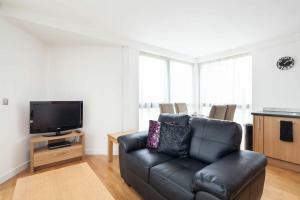 Located 600 metres from The Opera House in Manchester, this apartment features a sun terrace. The boat is 600 metres from Manchester Central. The uni..
With a corner aspect in central Manchester, Aparthotelzzz offers a luxury apartment with free Wi-Fi and a balcony with views over the city. It is just.. 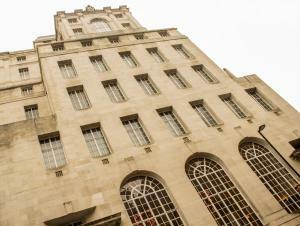 Located in the centre of Manchester, Hotel Gotham is a 3-minute walk from Manchester Arndale Shopping Centre. It offers a rooftop terrace and free WiF.. 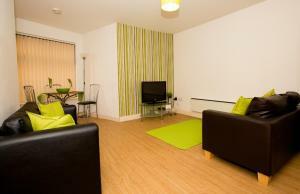 Featuring free WiFi, Stay Central Serviced Apartments offers accommodation in Manchester. 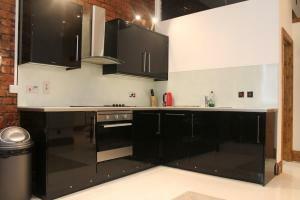 Deansgate is 500 metres from the property. A flat-screen TV..
Set 300 metres from Manchester Central, Starlet Apartments offers self-catering accommodation with free WiFi and a balcony. Deansgate Train Station is..
A 5-minute walk from Salford Central Train Station, the Arena Black Lion offers accommodation in Manchester. There is a pub and restaurant, and the pr..
Innside Manchester by Melia is located in the city centre and within 5 minutes’ walk of the train stations at Deansgate and Oxford Road. It offers a.. 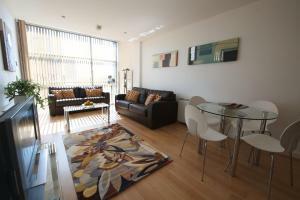 Located in Manchester, this apartment is 800 metres from The Opera House. Guests benefit from free WiFi and private parking available on site. The ki.. 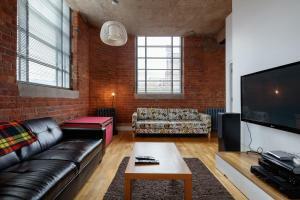 Stylish City Centre Apartment offers accommodation in Manchester. The Palace Theatre is 200 metres away. 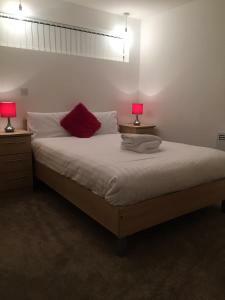 Free WiFi is available throughout the propert..
Modern City Centre Apartment is a self-catering accommodation located in Manchester. Free WiFi access is available. The property is 100 metres from Pi.. Located in the heart of Manchester, the Stunning City Centre Apartment offers self-catering accommodation with free WiFi access is available. The prop..